Upon my arrival in Michigan yesterday, I poured myself out of the driver’s seat of the 2017 Ford Raptor tow vehicle after 48 straight hours of travel. I was dead tired, but at the same time, thrilled with what was a genuinely epic journey. We did it. 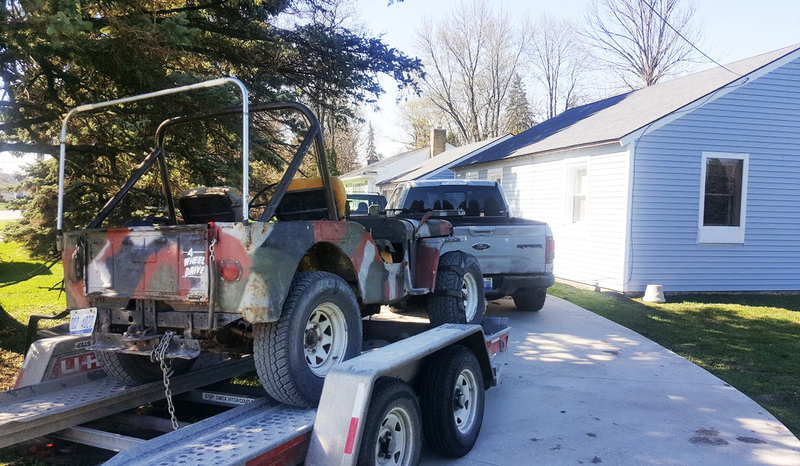 My insane Jeep project actually did it. A month ago, my 1948 Willys’ crankshaft was sitting on my dryer, the body still wasn’t attached to the frame, the transmission wasn’t shifting into second gear, the rear differential ring gear was bent, and I’d just narrowly escaped a junkyard fight over some used tires. The project was hopeless. But my friends and I trudged on, quickly rebuilding the engine, rebuilding the transmission, shimming the differential, and bolting the frame to the body via some hockey pucks and some enormous bolts. My first attempt at driving to Moab was a false-start, with me only making it ten miles before the fuel pump ate itself. My second attempt took me an incredible 1,300 miles along only country roads to rural Kansas before a freak timing gear failure brought my Willys to its knees. But then my coworker Freddy and I, after towing the Jeep the final 500 miles to Moab, replaced that gear, and the Willys became an off-road god. No slope was too steep, no summit was to sharp, and no dirt was too loose: once Project Slow Devil was in low range, and one of its front tires was on an obstacle, the little Jeep could not be stopped. It just climbed. I’ll post a video and a full report of the Willys’ off-road brilliance in the coming days. But today’s update is that I’m back in Michigan after a miserable 1,800 mile return trip in a Ford Raptor, a truck that somehow—with its turbo V6 and 10-speed transmission—managed to score an abysmal 9.4 MPG while towing the little Willys on a U-Haul trailer. To stay awake I listened to Jane Austen and Ernest Hemingway audiobooks; needless to say, I pulled over quite often.